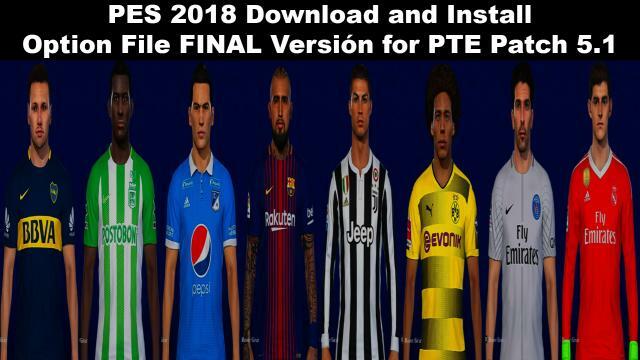 PES 2018 Option File untuk PTE 5.1 update 9/9/2018 – Berikut penampakan OF PES 2018 terbaru untuk PTE Patch 5.1 dari WARRIORBLACK. Update 9/9/2018. Contains ALL the transfers that have been made up to the date and time of recording of the video. The INITIAL Training and Strategy of the most important teams has also been UPDATED.